So you’ve read all of the recent stats: 52% of marketers worldwide name video as the content format with the highest ROI and 70% of B2B buyers are watching video as research during their path to purchase. 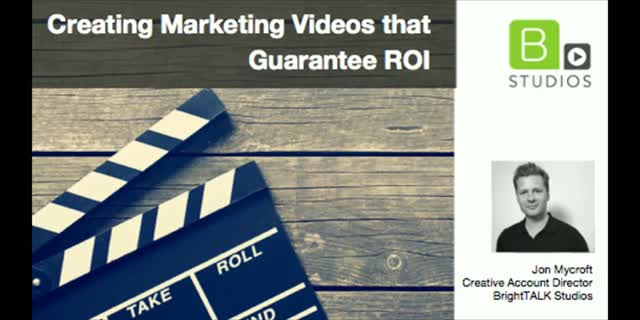 You’re ready to make video content a part of your marketing plan, but what kind of video should you be making? And how will you get value from it? In this webinar we’ll be discussing the right formats of video to meet different marketing objectives, and how to best use the different videos you create to achieve ROI. Using case studies from BrightTALK Studios customers across industries, we’ll give you a practical framework to create successful videos that'll hit your KPIs.